Don't Call Me Late For Breakfast! On Angels' Wings brought us an extra kitten on Tuesday! 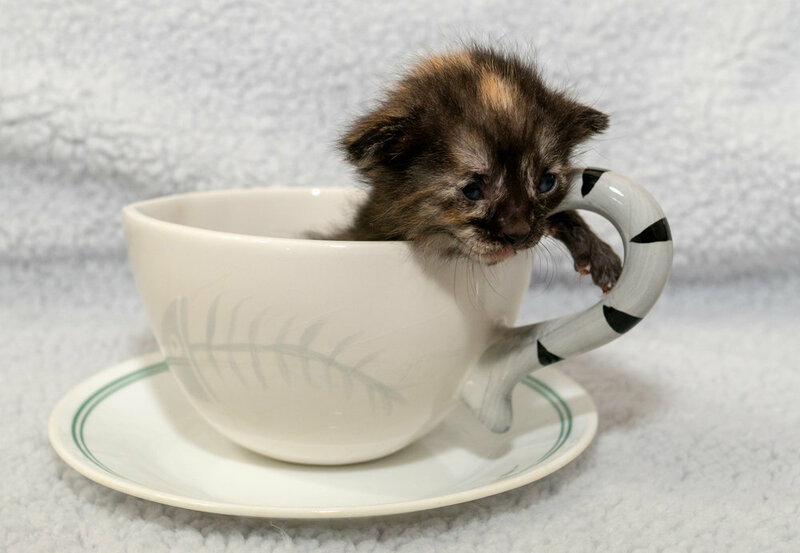 Welcome to tiny Chai! 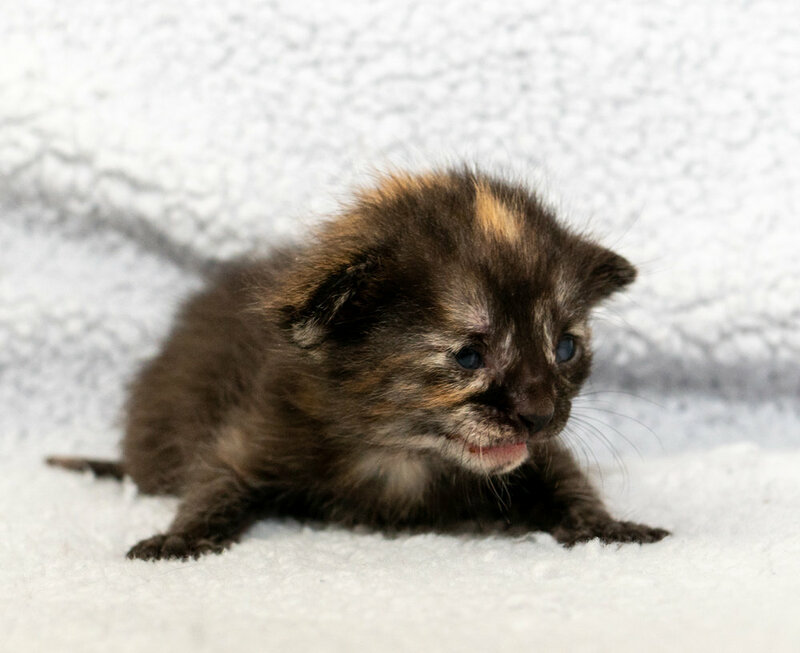 She was bottle-fed for the first two weeks of her life, but fortunately, when we put her with Tiffiny, she immediately figured out how to nurse. She's been gaining weight at an appropriate rate, and fits right in with her adopted cat-family! 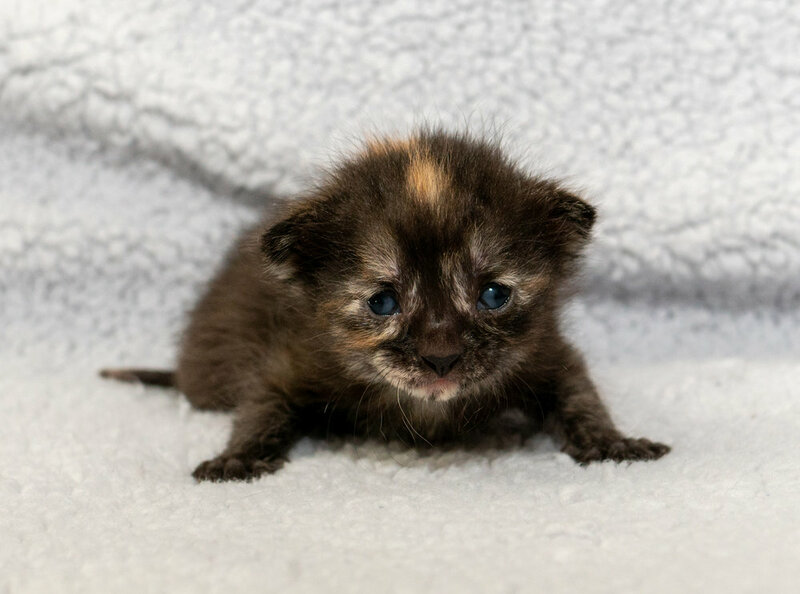 While she's technically a few days older than Tiffiny's kittens, she's still the smallest of the crew. At the rate she eats, that may not last long! One quick, unrelated note: Frolic has been adopted! She's still hanging around the Academy until the start of next month, when she'll go home with her adopter! 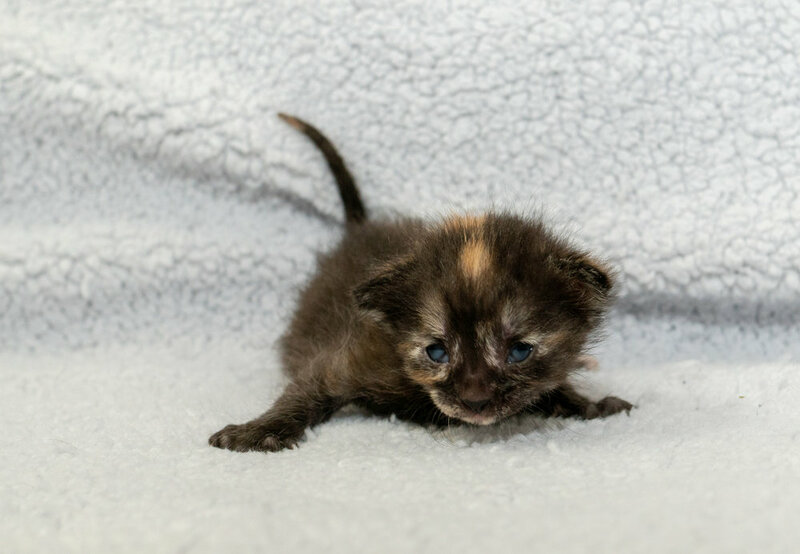 We've added Chai's photo to the last post with the rest of the Breakfast Kittens, but she also got her own photoshoot - here's the extras from it!